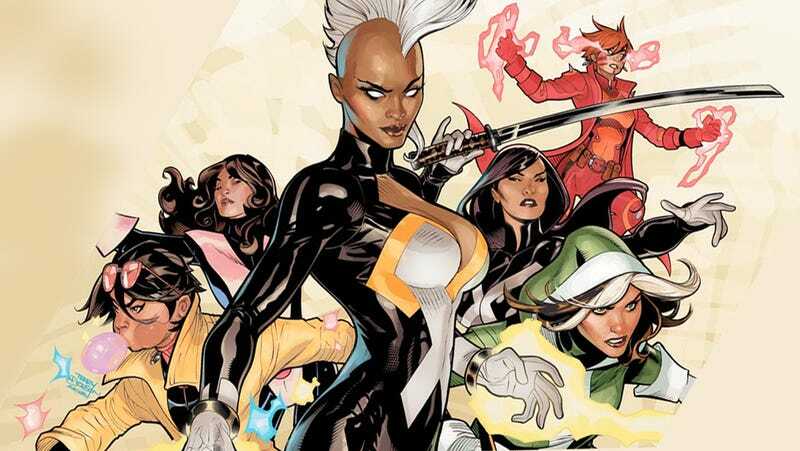 Jubilee, Kitty Pryde, Storm, Psylocke, Rogue, and Rachel Grey. Executive producer Lauren Donner has had a hand in bringing each and every single one of Fox’s blockbuster X-Men films to fruition and she takes pride in the work she’s put in at the studio. With the franchise’s future somewhat up in the air because of Marvel’s impending acquisition of 21st Century Fox, Donner recently opened up about what it was like to help usher in the modern age of superhero movies and what projects she wished she’d been able to get off the ground. “I didn’t get it through. But I think that would be cool. I think — not to have no guys in it, you have to have guys in it — but to make instead of Charles and Magneto at the helm it’ll be whomever. Kitty Pryde and Illyana [Rasputin]. “Subconsciously I realized that you can’t have these multiple superheroes all on the screen, story after story. Particularly with Charles [Xavier] and Magneto at the center because we’ve seen that, we’ve done that, we’ve done it many times. And I myself feel like somebody in the audience is gonna be like ‘Oh you know, this is just contrite’ which nobody wanted to do. The X-Men canon is ripe with multiple characters and everybody’s got a story and there’s so many stories. So why stick to the same story over and over again? We’ll get tired of making them, let alone the audience get tired of seeing them. The next X-Men film, Dark Phoenix, is set for a June 7 release.